Ayudo a mis clientes en el proceso de adquisición de conocimientos y la comprensión de sus necesidades y dificultades. En la vida del ser humano se presentan situaciones donde en ocasiones es fácil de tomar una decisiones, pero puede haber otros que son un poco más difíciles de trabajar o aceptar. En ese momento es donde la presencia o el apoyo de un buen Consejero es indispensable. Me encanta ayudar a mis clientes en este proceso para que asi puedan aprender a hacerle frente a la situación actual y para prevenir situaciones que pudieran afectar sus emociones en el futuro. I help my clients in the process of gaining knowledge and understanding of their needs and difficulties. In life there are situations which are easy to make decisions, but there may be others that are a little more difficult to work through. These are the times when the presence or support of a good Counselor is indispensable. I love to help my clients in this process so they can learn to cope with present situation and to prevent situations that might affect their emotions in the future. 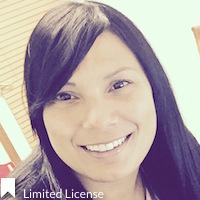 *Carmen has completed coursework and received a Masters degree from an accredited university; however, she is not fully licensed to practice independently, and is under supervision with a fully licensed Provider. The State of Florida allows individuals under supervision to provide clinical services to Medicaid patients.